CATHERINE Zeta-Jones spoke out about Michael Douglas pre-emptively addressing allegations he sexually harassed a woman years ago. Zeta-Jones said her husband is "110 per cent" in support of the movement against sexual harassment. The Oscar winner told Entertainment Tonight: "My reaction was that as two people who have been in this business - him longer than me - was that we support 'Me Too' and the movement more than anybody, anybody - me as a woman, him as a man, and there was no other way than to be pre-emptive in a story that had to be watched. He did a statement, he did it. I think it's very clear the way that he stands. I cannot elaborate on something that's so very personal to him." She said there is a cultural shift going on. "We're seeing changes that have taken many years to even be talked about. It's an amazing time for women, and I really want women to remember how strong we are in numbers. "This is going to die down. This is not going to be at the forefront of everyone's mind forever and ever and we're going to have to be kind to each other," Zeta-Jones said. "We can't ask everyone else to be kind to us unless we're kind to each other." In a lengthy interview with Deadline on January 9, Douglas opened up about the harassment allegations. "It's extremely painful. I pride myself on my reputation in this business, not to mention the long history of my father and everything else. I don't have skeletons in my closet, or anyone else who's coming out or saying this. "I'm bewildered why, after 32 years, this is coming out, now. As I say, I will fess up to colourful language, but the issue of masturbating in front of her? That rung is something I've only heard about the last year. It's not an expression that related to the '80s. So I thought it stunk. And I tried to figure out, why the hell would somebody do this? The part that hurt the worst is having to share something like this to your wife and your children." 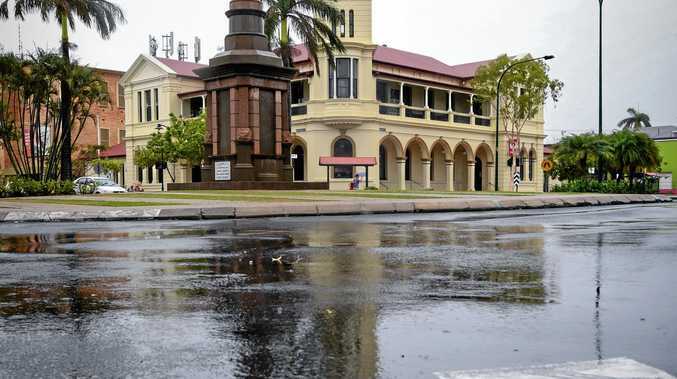 Weather BEAUTIFUL rain has fallen on the Bundaberg region with some areas receiving more than 20mm.